40 Days of Purpose and the Purpose Driven movement have become a world-wide phenomena featured in over 300 newspapers, magazines, radio shows, and TV shows including USA Today, Wall Street Journal, New York Times, Fox News, ABC, NBC, FORBES, and TIME magazine. Millions of people have participated in 40 Days of Purpose reading groups including corporations, schools, dozens of professional sports teams, the United States Senate, prisons, and over 20,000 churches, representing 80 different denominations . The program, based on the book, is a six-week spiritual journey that focuses on the question: What on earth am I here for? The book teaches that life on earth is preparation for eternity, and that meaning in life comes from doing the five things God created us to do. 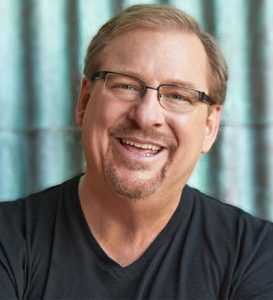 Rick Warren is the founding pastor of Saddleback Church in Lake Forest, California, one of America’s largest and best-known churches. He and his wife, Kay, began the church with one family in 1980. Today the church averages 23,000 in attendance each weekend on its 120 acre campus and lists over 80,000 names on the church roll. The church has also started 34 daughter churches, inspired thousands of other new churches to be started, and sent nearly 5,000 of its members on mission projects around the world. Rick also founded Pastors.com, a global Internet community which serves and mentors those in ministry. Currently, 125,000 pastors subscribe to Rick Warren’s Ministry Toolbox, a weekly email newsletter, and the Pastors.com website attracts between 60,000 to 100,000 pastors daily with news, chat forums, sermons, and other resources for those in ministry. 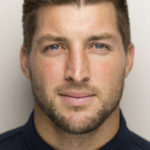 His other books include The Power to Change Your Life, Answers to Life’s Difficult Questions, Planned for God’s Pleasure, and Personal Bible Study Methods. Born in San Jose, California. 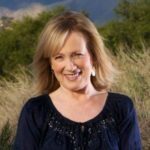 Earned a Bachelor of Arts degree from California Baptist College, a Master of Divinity from Southwestern Theological Seminary, and a Doctor of Ministry degree from Fuller Theological Seminary.